Top Transvaal Racing Pigeon Federation (TRPF) member Joe Lemos joined the sport in 1980 and soon realised that success lay in acquiring top quality pigeon stock. At times, the prices were very steep, but the results invariably made it all worthwhile. 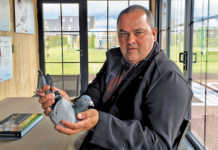 That Joe loved his pigeons was evident from the immaculate state of his loft, and the individual attention he lavished on his birds with the help of his loft manager, Portia Dube. He is happy to admit that without her ceaseless attention and love for the birds, he would not havebeen able to compete so competitively. She could say who the parents were just by looking at the racers. Joe’s high quality pigeon stock came from Roland Bouwer, Johan Schmidt, Terry Connolly, Brand Wepener, Walter Dinwoodie, Sunday Monteiro and Alf Haupt, amongst others. 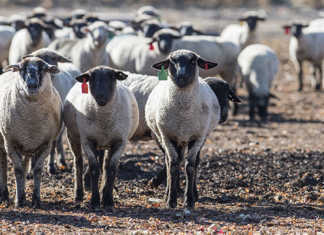 The introduction of Sunday Monteiro’s Tom Lock, Eijerkamp/ Janssens (Gold Rush) and Klosterman/Wouters bloodlines added to the winning genetic package. 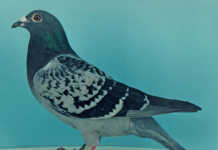 Pigeons from the Spritzy lines also contributed to Joe’s 12 federation and countless club and division wins over the years. By 2006, Joe had won the Points League Averages of his club five times in eight years. Despite selling many of his birds at auction that year because he had to cut down on numbers, he went on to become club and division champion, a feat which involved winning the single and all-birds-to-count averages over the short, middle and long distances! 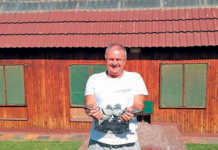 Joe holds the SA record for prize money won by one loft: R365 000 and R220 000 won on consecutive weekends against the ‘royalty’ of the Transvaal Racing Pigeon Federation and Transvaal Homing Union. In 2007 and 2008, he timed in a total of 14 club winners. Another highlight was winning the Cradock Championship race with a margin of 18 minutes. In 2010, 2011 and 2012, he again managed to win the title of Club and Division Champion. And at the time of his auction catalogue going to print, and despite not having participated in all the race events, Joe was 7th in the TRPF single bird averages. 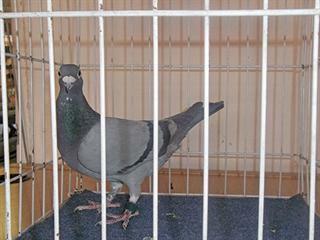 With Joe due to retire to Mossel Bay, the remainder of his pigeons were auctioned on 12 October. A total of 164 birds featured in the catalogue. Lot 41, a fine Blue Hen that had scored three club firsts, went for R24 500. She is living proof of Joe’s prowess in pigeon-breeding – and it was not surprising that the turnover of the auction was R445 000.